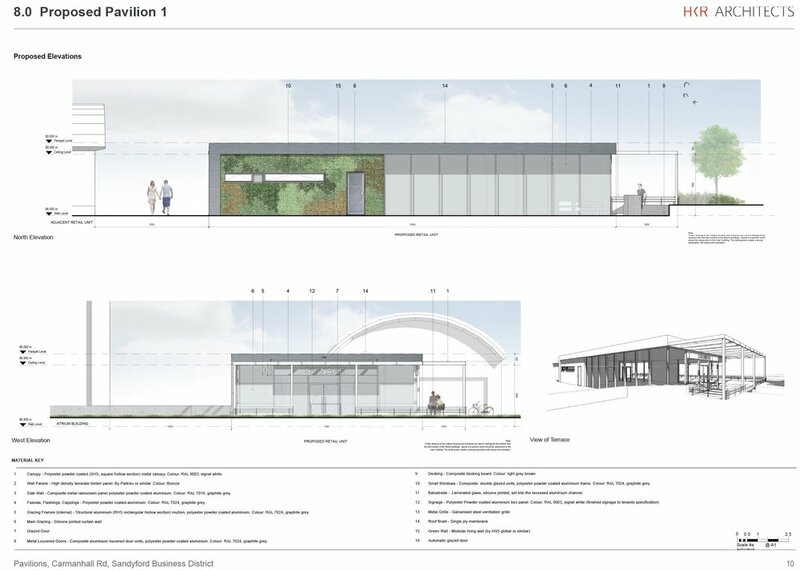 HKR have just received Planning Permission from Dun Laoghaire Rathdown County Council for two new cafe and retail Pavilions on Sandyford Business Park, Dublin 18. 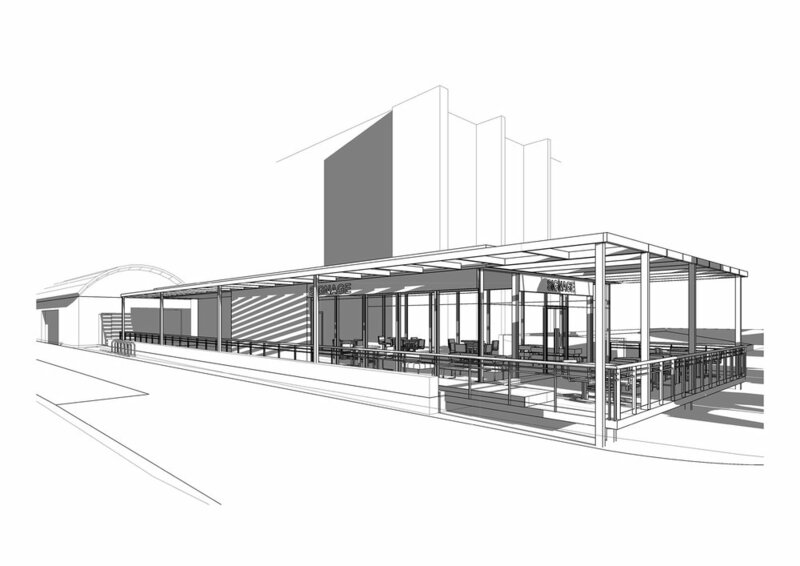 The detailed planning application was submitted on behalf of Dublin & Oriental Properties Ltd and outlines designs for two environmentally responsive, glass and steel pavilions with living green walls and roofs and associated outdoor terraces. 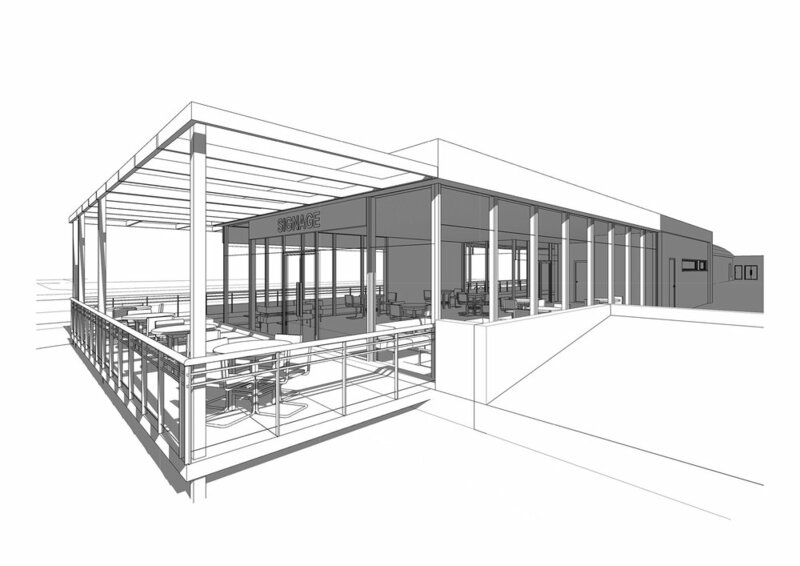 Pavilion 1 is for class 1 shop use at 140sqm, Pavilion 2 is for cafe / restaurant use at 140sqm. 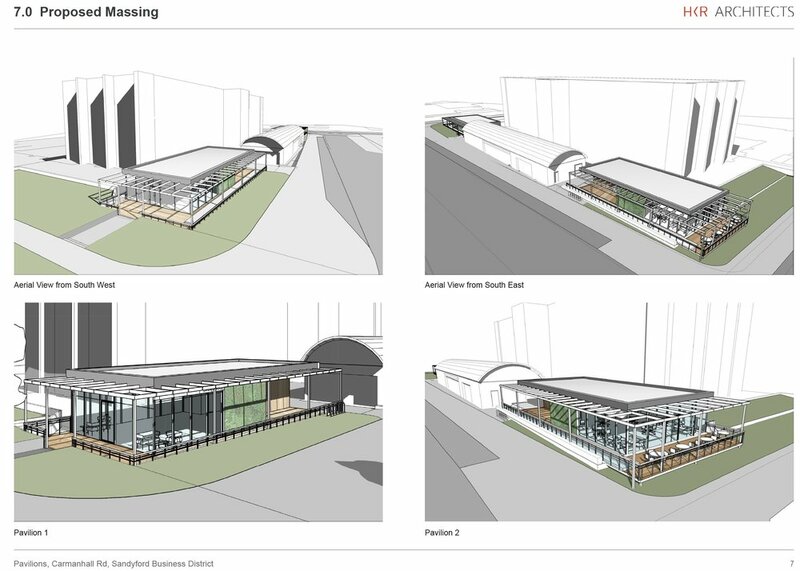 The proposed units will be ancillary to the established office and residential uses surrounding the site and will improve the range of facilities and amenity space available to employees and visitors of the Business Park.